Whether your sport of preference is American football, baseball, football (soccer), or whatever else is out there, going and watching a game live can be an incredible experience. Even if your budget only permits sitting in the nosebleed section, there is just something about the joy of being at the game that nothing else rivals. But did you know that you can make the live sports experience even better with the help of some mobile apps? Whether iPhone or Android, there are some apps you can download that will make watching the game even more fun. After all, there are some key things you are missing out on when there in living color, and these apps help close the gap between the convenience of TV and the roar of the crowd. When watching a game live, one thing that is missing from the experience is commentary. When you watch on TV, you get to hear professionals who know the game inside analyze everything that is happening. 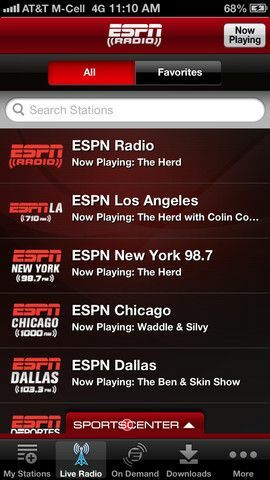 This is where TuneIn Radio comes into play, as it allows you to play radio stations from all around, including those that are broadcasting live commentary for your favorite sport. It adds a whole lot to the fun of watching a game, and it’s free for both platforms. 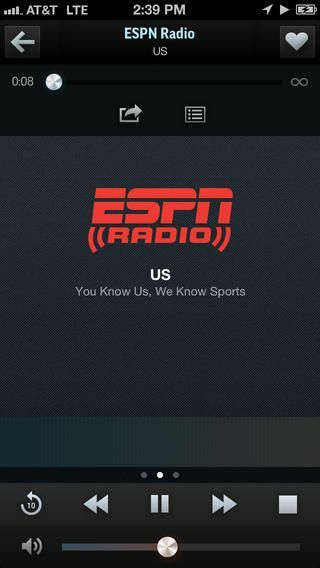 Like TuneIn Radio, this is another great way to listen to commentary while at the live game. It’s only supported in the United States, so you won’t be using this all over the world, but for NFL, NBA, and fans of other stateside sports, this is a great app for adding an element of the home watching experience to the live game.